The New England Historic Genealogical Society will be offering free advice about probate records in an "Understanding Probate Records" event scheduled for April 18 to 25. They will also provide a period of free access to the probate records that are searchable on their American Ancestors website. "As many of you know, probate records can be an invaluable resource for family historians. Later this month, the New England Historic Genealogical Society will be offering free access to their probate databases, along with other resources that explain how to use probate records to best effect. NEHGS has asked me if my readers would like to submit questions they have about using probate records. 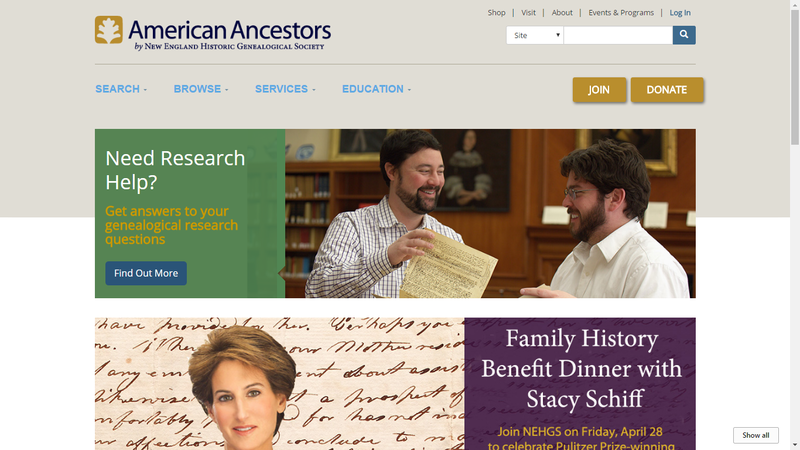 Their probate experts will answer those questions later this month on the AmericanAncestors.org website. "So please send in any probate questions you have and get free advice from NEHGS experts! The deadline for submitting questions is April 12. Please keep questions from getting too specific about a particular ancestor (though you can always give it a try!). Though they may not be able to answer every single question, NEHGS will commit to answering as many as possible." I will be collecting questions from my readers and will pass them to the NEHGS experts. Please comment on this blog post, or email me at randy.seaver@gmail.com, to ask your questions. Note the deadline of Wednesday, 12 April 2017 for questions. What type of questions should you ask? An example is “Why is my ancestor not in these records?” Or "What probate records does NEHGS have?" Or "What types of documents might be found in these records?" Please note that NEHGS cannot commit to doing actual research for individuals. During the event, there will be a unique URL leading to a page on AmericanAncestors.org with the answers to readers’ probate questions. Randy, I would love to participate in this to go after my ancestors in Connecticut. I can't find anything about it on their website you linked to. I sure don't want to miss out. Thanks a bunch.